How often have your kids asked you, “Tell me about when you were little”? Do you, like me, remember how much you loved hearing stories about your mum’s and granny’s childhood when you were young? The three children I look after also love hearing tales of my youth. I have a stockpile of childhood memories (real and fictional) ready to bring out on any occasion. If you are the parent, these stories can give a sense of shared history that helps your child feel rooted and securely connected to his family. But even as a nanny, my childhood tales are asked for again and again. Maybe just hearing the tale of a child in another time and place who had the same issues these children have, is comforting and helps them feel understood. I definitely find that a well-timed story or anecdote (with the truth tweaked here and there for maximum benefit) really helps the three nanny-children through their little ups and downs. Stories can be a helpful distraction from upsets of any kind. One day, the five year old lost sight of me at a kids’ club, panicked, and began to cry. I held her close, praised her for doing absolutely the right thing by standing still, and told her the story of how I got lost at the beach when I was five. She soon cheered up on hearing how my situation had been far worse than hers – running about screaming hysterically – and how much braver she had been! 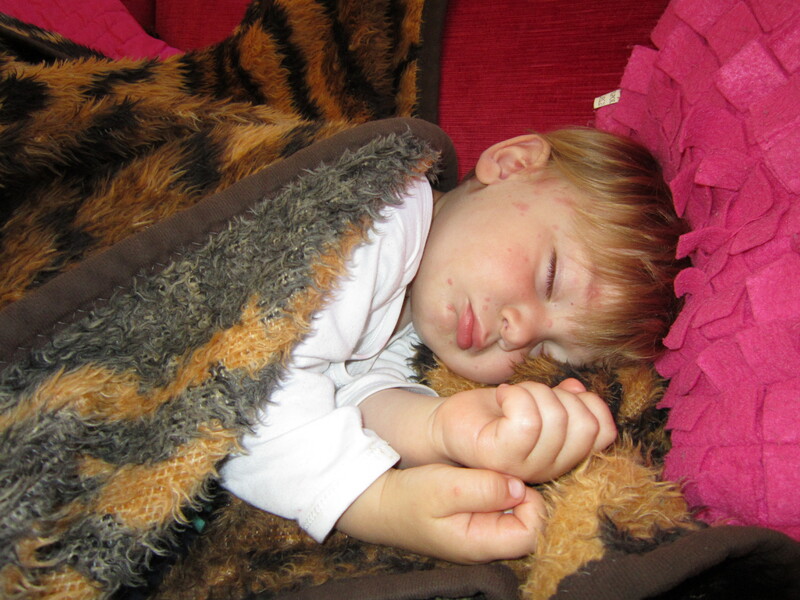 And after the two year old had somersaulted off the sofa onto the floor and hurt himself, I scooped him up and started telling all three of them a story about how children in the rainforest can climb like monkeys….until I noticed he’d fallen asleep on my lap! Stories, which you can customise to your own purposes, can be a useful way to teach important life lessons such as how to share and be kind, what to do if you’re lost, or the importance of honesty. They can also be an invaluable way to prepare a child for a new experience (Topsy and Tim seem to cover all bases there!) Children can understand and relate to the characters and are a lot more receptive to anything if it is presented in the form of a story. The latest favourite of the three children I care for is the cautionary tale of my little childhood friend Nancy who was a despicably vile spoilt brat. The children find her highly amusing, and yet at the same time educational in social skills! I have a lot of fun acting Nancy, stamping my foot and doing the whiny voice demanding “I want it NOW!”, letting the children see and hear how horrid it sounds and how it doesn’t get you what you want. Because it is not a lecture directly aimed at them, and because it makes them laugh, they take it on board much more readily. (Especially when I call her ‘Antsy-Pantsy Nancy’.) I often now hear them say to each other gleefully, “Oh, you’re acting like Nancy!” or I whisper to them, “That’s just how Nancy used to behave”, if we see another child throwing a strop. Nancy has become a useful self-correction tool. I also read them the story of the Selfish Giant and the Selfish Crocodile at intervals, just to make sure the message is hammered home! If your child has a tendency to whine, shout, jump around, keep getting up and down or pick at his food at mealtimes, maybe the tip I got from a friend with three young children could help. Just read or tell them a story while they eat. I have noticed they’re so busy following the story that they forget their meal is “yuk”, and instead sit quietly and just go on eating. Sometimes (if the story is particularly absorbing) they do forget to eat, in which case I have two options: feed them myself, or do a little playacting. I either say, “another bite, another page!” or make a big show of finding it really hard to turn the page until everyone has taken another mouthful, or pretend to collapse with exhaustion, dropping the book, until they have all eaten some more to ‘give me strength’. I then pop back up saying, “Ahh, that’s better! I feel much stronger now!” and continue reading. They love this game and always remind me to do it each time I bring a book to the table. If this seems a little too indulgent, I sometimes use another alternative to shouting at them for bad table manners. I always find kids will behave far better when out for a meal than at home, so I use this to have a little game of ‘posh dinner’ at home. Sometimes I can kill three birds with one stone and get them bathed, do a birthday celebration AND encourage nice manners all at once. We did this on the day the little one turned three. They actually showered themselves, washed each other’s hair and dressed up in bridesmaid finery while I prepared a party tea. Then while they all sat eating like ladies and gentlemen, I told them my most successful story yet, of a princess who invited them to her wedding because they were such polite, well-behaved and angelic children! I embroidered the tale with descriptions of how their wonderful dancing, violin and flute playing and magic tricks captivated the wedding guests. On hearing how good they were, they all became perfectly behaved and even helped me clear away at the end! Afterwards I speculated to myself about how the messages we give children about themselves influence what they believe about themselves, and ultimately how they act. At pudding time the kids ask for my ‘ice cream story’ again and again. It’s the (not strictly true) story of how I learned to share with my sister when we were young. There was only one scoop of ice cream left in the tub, and my dad told me about the ‘wonderful warm and fuzzy feeling’ I would feel in my heart if I gave it to my little sister. When I reluctantly put the ice cream in her bowl, her smile of joy made me feel so good that I was kind to her ever after. The kids love to act out the story and take on the roles of me and my sister as they practice sharing. Then they act out the story of the morning after, when my sister woke up and was sick all over her bed, and I mopped her up, comforted her and we were friends ever after. I use storytelling as a very practical way to teach moral values. My Children’s Bible comes out at regular intervals; whether you practice a faith or not, you could use whatever book or stories you choose that contains the truths and lessons you find valuable in life. Children gain a valuable sense of security and resilience if they know there is always Someone who cares for them and watches over them (whether it’s you or God!) I often find myself reciting the story of Adam and Eve in the Garden of Eden (by popular request) as we walk up the road to school. And I’m always getting asked what God looks like! I am reading them my favourite classics at the moment, such as Pollyanna, A Little Princess, Heidi, and The Animal Family (see Goodreads, in the column to the right of this page), all of which highlight life lessons such as the value of optimism, gratitude for simple pleasures, inner beauty, and caring for others. I want to counteract the negative messages given out by this society about having to look a certain way in order to be accepted, or that material wealth is the only thing that matters. I am teaching them that true riches come from the heart. I don’t want them to grow up believing that happiness comes only from perfection, beauty and a massive bank balance. Of course, we all know that reading to your child will help him enjoy reading himself when he’s older. 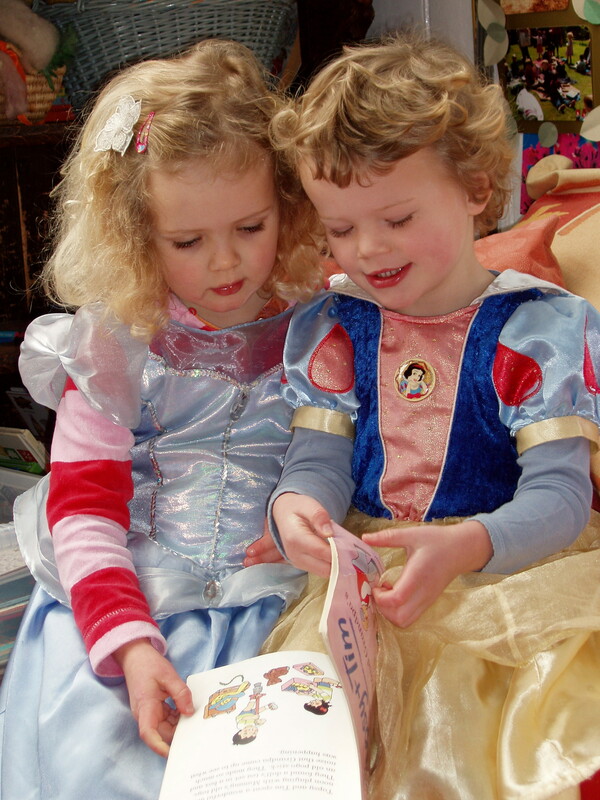 Books can become a special pleasure for your child, on his own or sharing with a friend. The sharing of attention in this way can strengthen bonds between children. When out and about, I often bring a book to while away a bus ride or trip to the doctor. One time, I was out with a fellow nanny. We had six children aged 1-6 between us and went into town on the bus. We couldn’t all sit together on the bus as it was so crowded, so I raised my voice and read the book to the entire bus! Everyone listened beautifully. Stories are invaluable for quiet time, when they’re a bit old for an after-lunch nap but you know they really need a rest. 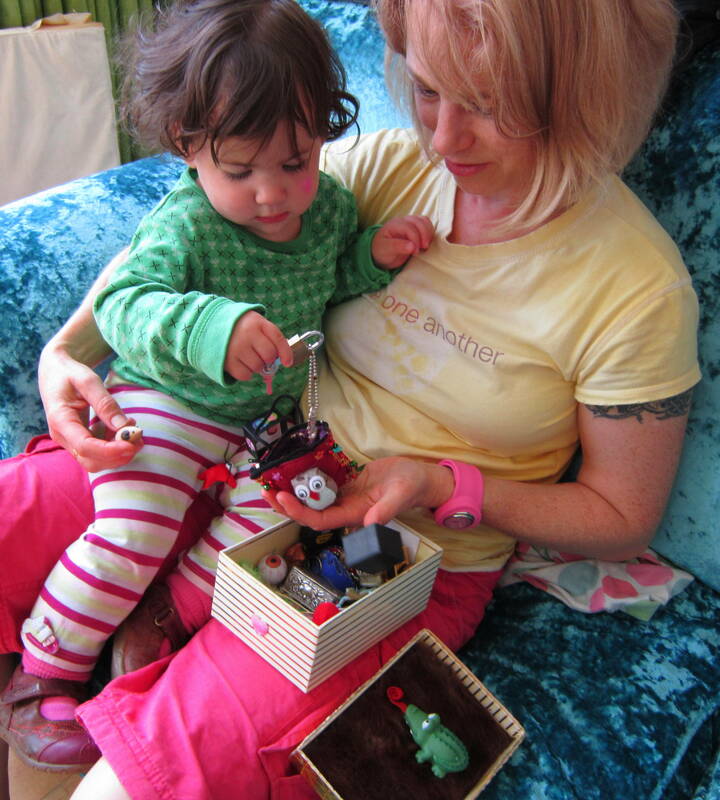 The whole cuddle/story ritual creates a calm and peaceful space in their day which really helps little ones feel safe, cherished and secure, as they snuggle up and lose themselves in another world. Sometimes we’ll go through an entire pile of library books in one sitting. It’s a much nicer alternative to TV, and means I know exactly what they are absorbing. And of course a story is the perfect way to end the day. 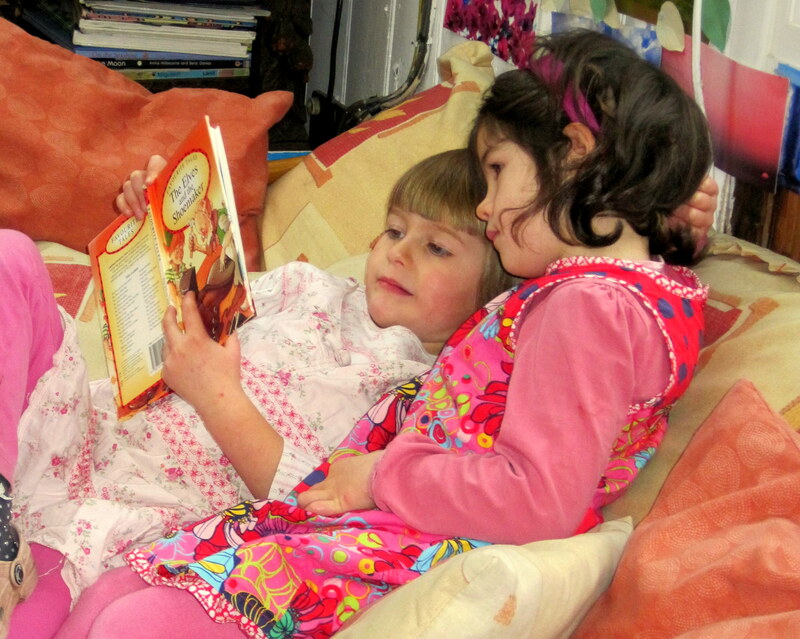 Any conflicts or difficulties can be forgotten and forgiven as parent and child snuggle up with a good book. 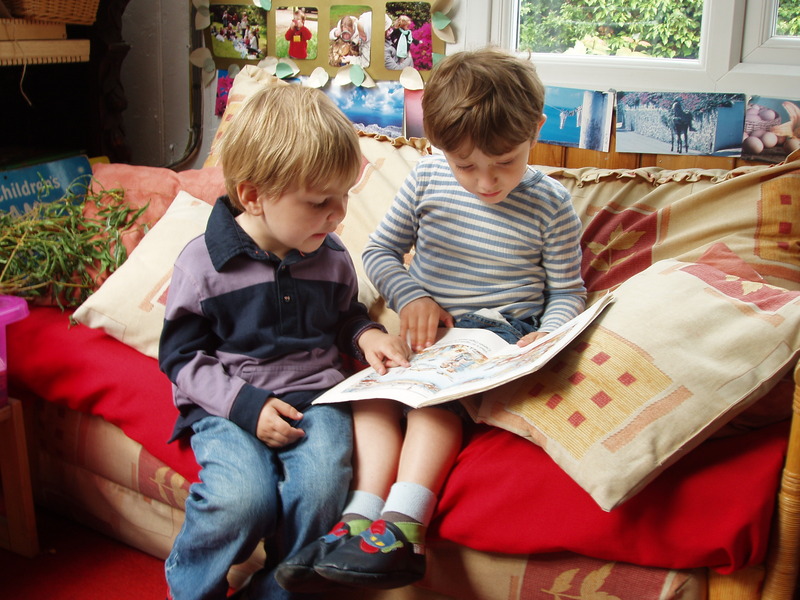 Even when the child is older and can read for himself, the closeness can be maintained by reading alongside each other. I have a very lovely family member who ends every day by lying on the bed with his son, each reading their own book. An older child can be an invaluable help in teaching a younger one to read, write or learn his spellings. 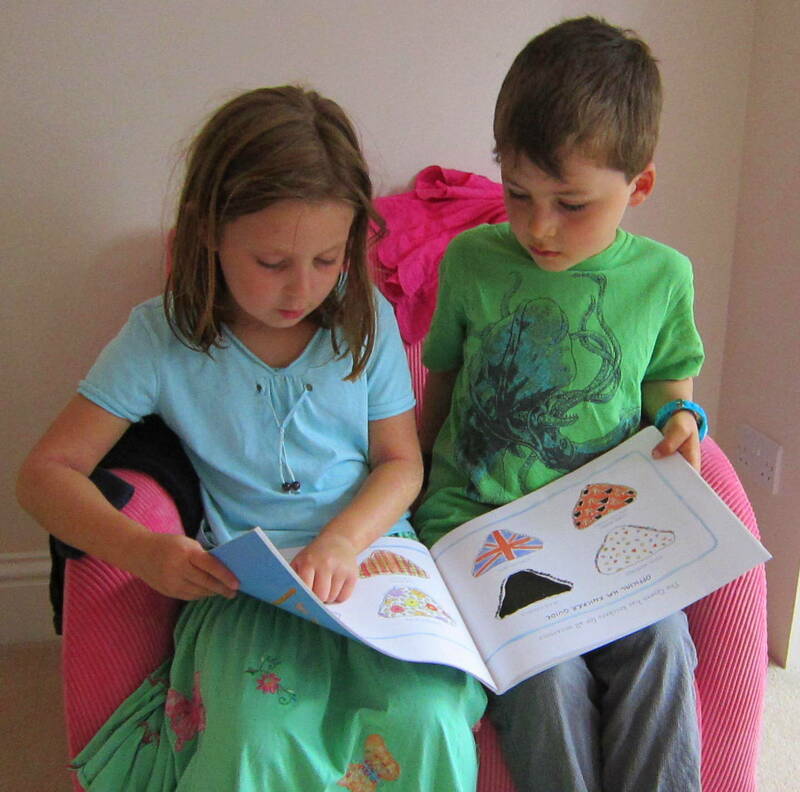 As a 10 year old expressed it to me recently: “I went through a hard time when nobody realised I was dyslexic for years, so I understand how tricky it can be to learn to read.” She is really patient and encouraging in helping her six year old brother read to her. 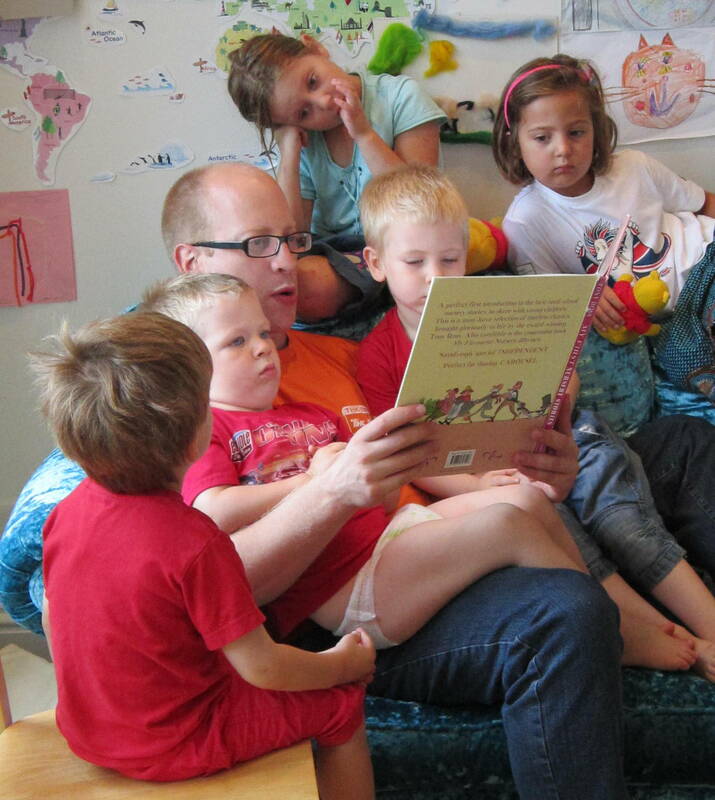 The children’s uncle is a really expressive reader who captivates any child in the vicinity with all his funny voices! 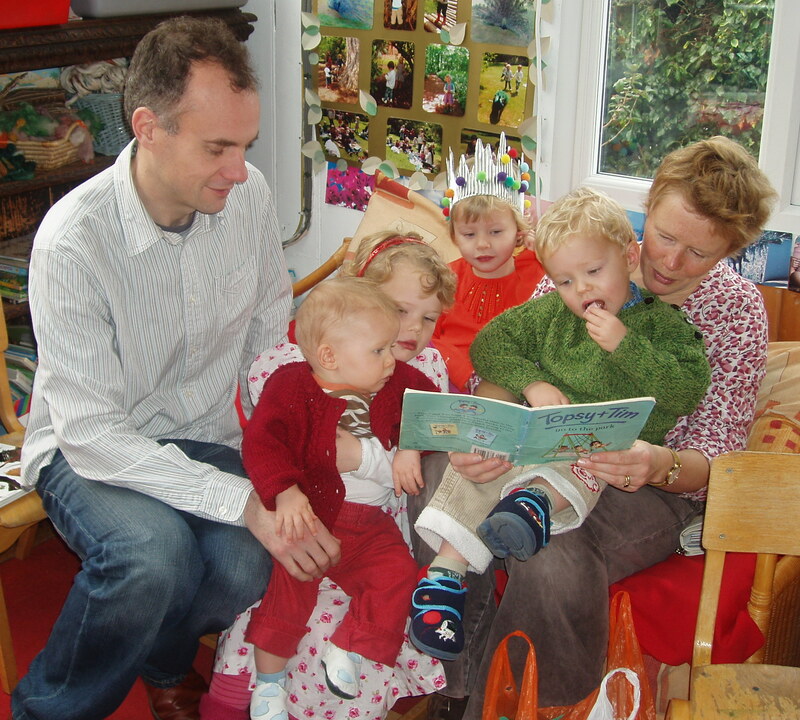 Have you noticed the entranced expression on children’s faces when you read or tell a story? They get that faraway look in their eyes as they see the pictures in their minds, make connections with what they already know, and absorb the underlying message. The story has literally created a trance and tapped straight into their subconscious. In the same way as a hypnotherapist reaches into the dark places in a client’s mind to undo harm and hurt, you can reach into your child’s mind to implant positive messages and lessons through a story. There is nothing scary or mysterious about a hypnotic trance. While studying psychology, I learned that it is simply a natural brain state designed to allow programming in of new information. It is simply a state of deeply focused attention. It’s like clicking a ‘save’ button. If you watch your child’s eyes closely you will see him or her dip in and out of a trance state many times in a day, often for mere seconds at a time. We all use trance every day, every time we focus our attention closely on something. Meditation is one well-known type of trance, but any absorbing creative activity, storytelling, group singing, reading, listening to music or watching TV, a play or even a puppet show can all cause a trance state. The right story or song can have a very powerful therapeutic effect. The wrong TV programme or film can have a powerful negative effect. There is a strong connection between our minds and bodies, and it is now known by psychotherapists that illness can begin or cease through our beliefs and attitudes. Studies have been done on the power of guided visualisation (leading a person through a trance state with mental pictures) in helping cancer, and in some Eastern countries, hypnosis is used routinely for pain relief in childbirth. Imagine helping your child recover from the flu by telling her a story about a powerful, kind King who saved his loyal subjects by vanquishing evil goblins from his kingdom! In the child’s subconscious, transmitted through her body, the bugs carrying the infection will be weakened as she believes or imagines the power of good conquering bad. Maybe this sounds far-fetched, but we’ve all heard on the news about violent children who have been influenced by violent movies. They have been literally programmed by what they’ve seen to accept violence as normal. 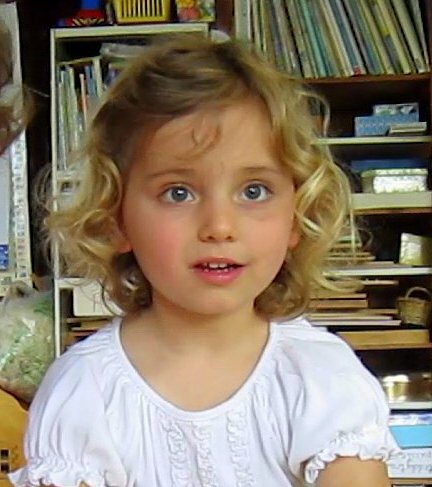 And gentle, kind children are also deeply influenced by what they read, hear and see. Remember that children are highly impressionable, and please be careful what you let your child watch on TV or DVD…and choose their books with care. They are still learning about reality. I personally find bedtime or naptime so much easier with a story; I put on soothing classical music, choose a really relaxing book, (usually about a character who doesn’t want to go to bed but ends up asleep!) and as I cuddle up with the small person, I focus his attention more deeply on the pictures, slow my voice down and become quieter and more hypnotic until his eyes close. 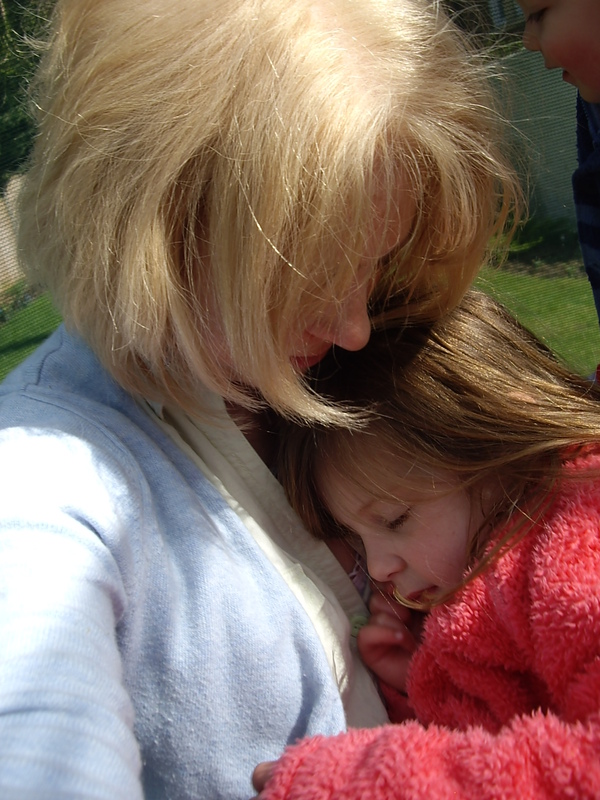 (“…and then Baby Owl snuggled down….and fell…fast…asleep.”) Children are so easy to hypnotise! Interestingly, with the youngest, who is two, I find that if he is tired (and usually resisting sleep) I can ‘tip him over the edge’ by repeating key words or phrases in the story such as ‘close your eyes’, ‘relax’ or ‘sleepy’. I can utilise a young child’s tendency to only hear the ends or key words of sentences, by saying something like, “I love this song, it always makes me feel sleepy….it’s making me yaaaaaawn……I would love to close my eyes right now….” He then focuses on the soft music and the message sinks in. Once he’s yawned a couple of times I know the job’s done. Within minutes, he’s out for the count! I often use this trick in the car, where I keep all my ‘mood music’ CDs, because the sound of the car engine is hypnotic in itself. 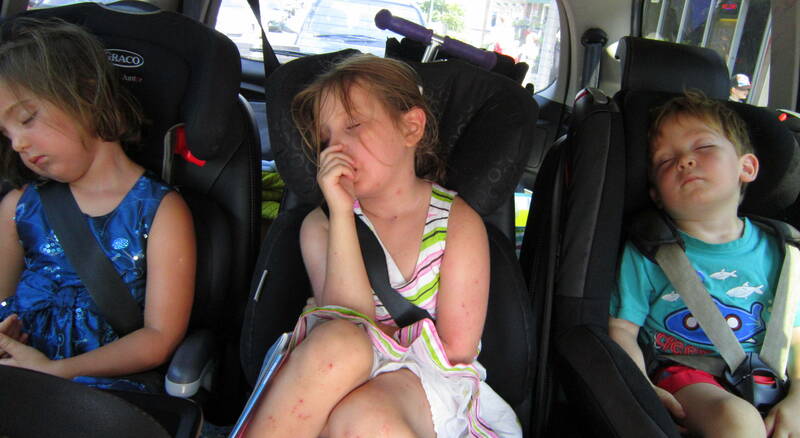 Ooops, everyone fell asleep! 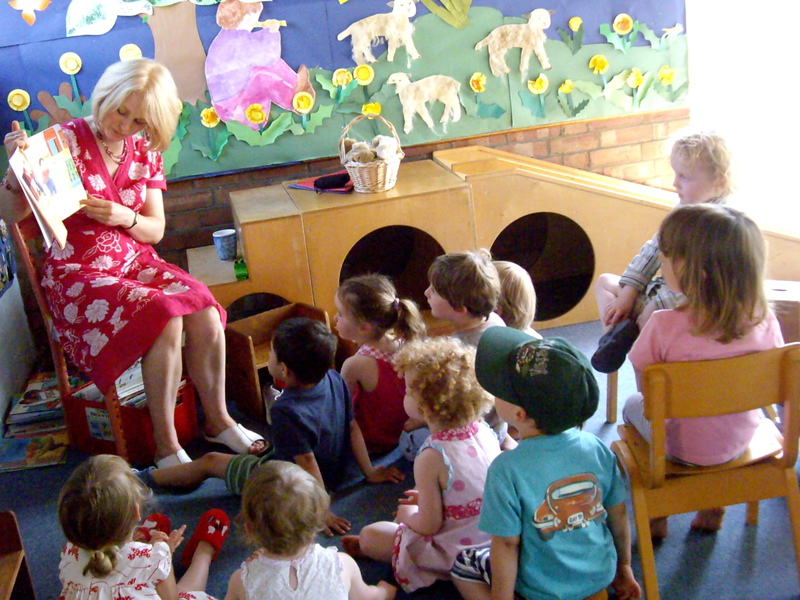 Storytelling is an amazing way to engage with the hearts and minds of children as well as stimulate their imagination. I bring out a story for every occasion now. Stories can be used to inspire, to carry children away to magical lands, to give a sense of history – how life used to be like – or to tell of a simpler way of life and how it is possible to live without all the material comforts they take for granted. They love getting inside the life of a child in a story; for them it’s another form of role-play. I make up tales of forest-dwelling children who love to swim in woodland streams, climb like monkeys and catch falling leaves to make a wish. Or show them a book of photos of rainforest tribes and tell them stories of how they live. Or I base a new story on one I heard as a child that stuck in my mind. Whatever the occasion, there is always a story that is just right. You might find it at the library, on Amazon, in your memories, or adapt an old tale to fit your child’s current issues. There are some stories that are real treasures, and others that are completely valueless and only written to sell another product (Disney springs to mind). You will discover favourites that really work for your child. I am building a library of wonderful inspirational stories. I try to buy only those books which I’m sure contain something valuable, beautiful or useful that I want to share with the children. But one thing’s for sure – there’s much more to a story than meets the eye! If you found this post interesting and would like to learn more about hypnosis and trance, please see my posts “The Power of Music” and “Time to Dream” for more info!